When starting a new business, founders are usually busy working on a million things at once, and dealing with legal documents is not the most exciting item on the to-do list. 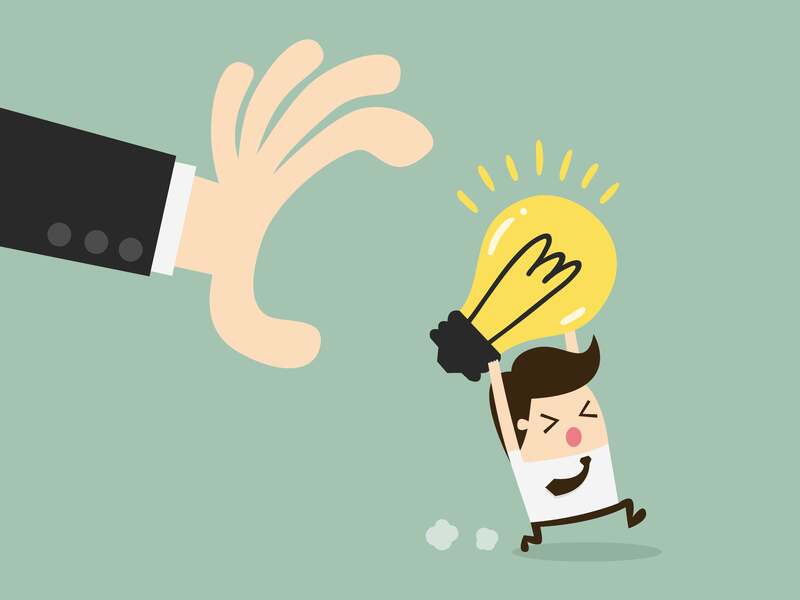 However, a startup’s intellectual property is typically its most important and valuable asset, and founders should take steps early on to protect it. A quick way to organize the strategy around your startup’s intellectual property is to make a checklist of all of your initial intellectual property considerations. This will help you keep track of each item as you deal with them. Examples of concerns that can go on this checklist include branding, trade marks, patents, trade secrets, copyrights, confidentiality, invention assignments, user-generated content, data privacy, consumer protections, etc. To help simplify the basics and get you started, we’ve outlined the two key legal documents that you need to have in place to jumpstart the protection of your startup’s intellectual property in the UAE. A non-disclosure agreement, commonly known as an NDA or a confidentiality agreement, is one of the best ways to protect valuable confidential information and intellectual property of your business. Through the use of a non-disclosure agreement, you can protect the confidentiality of secret information that may be disclosed in, for example, a financing round, a business transaction or an employment relationship. Usually, this is information that gives your business a competitive edge and is not generally known in the market. Examples of such information can include ideas for a new website, financial data and plans, specific knowhow of a business, sales data and plans, customer data and lists, pricing plans, manufacturing processes or formulas, novel invention designs, or confidential material contained in copyrighted software programs. The UAE’s general contract law, labor law, and unfair competition law provide for protection of confidential information through contractual relations. As a result, a best practice for you when looking to protect your startup’s confidential information is to enter into contracts with employees or third parties to obligate the party receiving confidential information to keep it a secret. A non-disclosure agreement can be “one-sided” or “mutual.” A one-sided non-disclosure agreement exists when only one party is disclosing confidential information. A mutual non-disclosure agreement exists when both parties are exchanging confidential information. 1. It should clearly identify the parties to the non-disclosure agreement. When a non-disclosure agreement is signed, a confidential relationship is created between the individual or entity disclosing confidential information (Discloser) and the individual or entity receiving (Receiver) the confidential information. This relationship legally binds the Receiver to keep the information a secret. 2. It should clearly define what comprises confidential information. This helps establish the subject matter that is being disclosed and helps the Receiver identify what information is confidential. 3. It should clearly list exclusions from the definition of confidential information. Exclusions to the definition of confidential information are based on generally established principles of law. A party receiving such excluded information has no obligation to keep it confidential. For example, a common exclusion from the definition of confidential information is information that was disclosed to, created, or discovered by the Receiver prior to (or independent of) any involvement with the Discloser. 4. It should clearly define the obligations of Receiver. Generally, a Receiver will have a duty to hold and protect the secrecy of the confidential information as if it were their own confidential information, and strictly limit the access to and use of the confidential information to only situations that require it. Additionally, it is common to see language stating that the Receiver may not breach the confidential relationship, induce others to breach it, or induce others to acquire the confidential information by improper means. 5. It should clearly state a term during which the confidential information will be disclosed. A non-disclosure agreement should have a term during which the confidential information will be disclosed. This term usually depends on the nature of the transaction or relationship between the Discloser and the Receiver. 6. It should clearly state a time period during which confidentiality of the information must be maintained. A non-disclosure agreement should define a time period during which the Receiver is obligated to maintain confidentiality of the information. An intellectual property assignment agreement is one of the tools that you will need to ensure that your startup has complete and clean ownership of all intellectual property assets of the business in writing. This helps your startup avoid any costly issues that could result from, for example, claims by patent trolls or competing companies trying to copy your software or product offering. What’s more, intellectual property assignment agreements are key to keeping your startup’s ownership in its intellectual property portfolio in order. This can be especially important for technology startups, because it’s often the value of your intellectual portfolio that investors and venture capital firms will be evaluating. In contrast to international norms, in the UAE, the assignment to employers of ownership to works created by their employees during the course of employment is dependent on the type of employment and the intellectual property rights of concern. A recommended approach to ensure that any prior or unwritten agreements to assign intellectual property are clearly documented is to put in place a confirmatory assignment between the parties. A confirmatory assignment is a ‘confirmation’ of a prior unwritten assignment of intellectual property rights between two or more parties. Despite this and as mentioned above, the UAE’s general contract law, labor law, and unfair competition law provide for protection of confidential information through contractual relations. As a result, a best practice to begin with when founding a startup is to assign all relevant intellectual property to the company through entering into an intellectual property assignment agreement. This agreement assigns any intellectual property created before founding of a startup. Technology assignment agreements usually come into play for technology startups, where a developer may assign or sell their rights in a software code to a startup in exchange for equity or cash. This agreement assigns any intellectual property rights in relevant work product created by employees or contractors of a startup, after its foundation. Invention assignment agreements are commonly signed by not only employees, but also founders, of a startup. This ensures that the startup has clean ownership of all items in its intellectual property portfolio. 1. It should clearly identify the parties to the intellectual property assignment agreement. By signing an intellectual property assignment agreement, the party assigning (Assignor) assigns its ownership interest in any intellectual property to the party receiving it (Assignee). 2. It should clearly identify and describe the intellectual property to be assigned and/or being transferred and assigned. This helps exactly detail the intellectual property being transferred and assigned. Depending on the type of intellectual property assignment agreement being used, the description of the intellectual property may also contain information about any relevant applications or registrations, associated ‘goodwill’ (business reputation), or a description of assets being transferred. 3. It should clearly define the obligations of the parties. Generally, an Assignor will have a duty to assign its ownership interest to the Assignee. Depending on the type of intellectual property assignment agreement that is being used, the Assignee may also have an obligation to pay a lump sum or a specified amount of equity to the Assignor. 4. It should clearly state a term during which the intellectual property assignment agreement will be effective. Depending on the type of intellectual property assignment agreement being used, the term can be for a specific date of transfer and assignment of already existing or developed intellectual property, or for as long as a term of employment or contractor relationship is expected to last. In conclusion, to properly protect your startup’s intellectual property, you should consider investing some time at the early founding stages in drafting an intellectual property checklist, and putting into place well-drafted non-disclosure agreements and intellectual property assignment agreements. It may take some time- but it pays to do it right. Good luck!